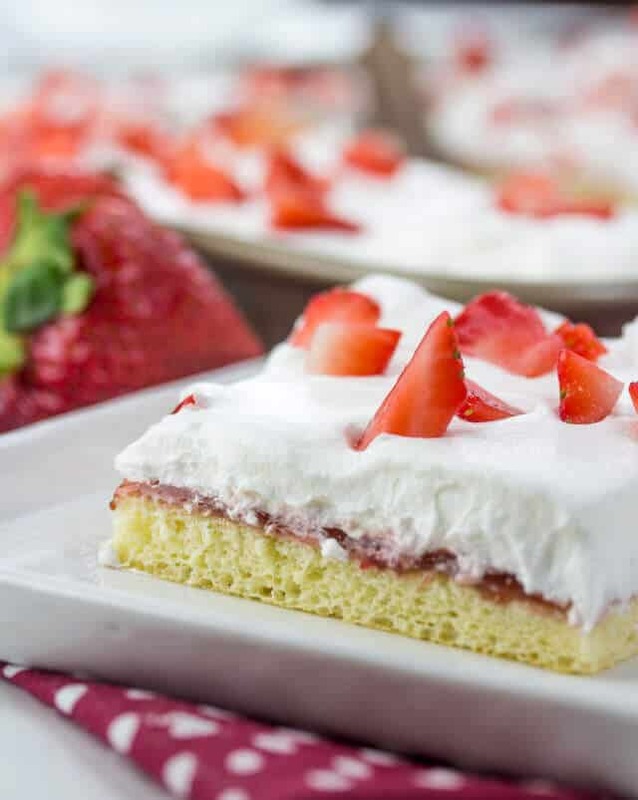 A light and airy Summer fave, this Strawberry Chiffon Sheet Cake is an easy fun sheet cake that feeds a crowd. Summer has it, we are finally in the 80s here in Minnesota and this girl couldn’t be happier. I truly don’t feel like it’s summertime until it is above that threshold. So Summer, I gladly welcome you. With Summer brings more fun desserts, but this time we are going a light and airy route with this delicious Strawberry Chiffon Sheet Cake! I’m sharing this tasty treat today over at Tastes of Lizzy T! You’ll have to head on over there to check this deliciousness ouy!! Sounds yummy! I’ll have to head over to Tastes of Lizzy T. The weather is the opposite down here in Florida…hot and muggy and been that way for awhile! You know I love a good sheet cake. I need to check this out!